US ad tech business Adaptly and Australian Oracle reseller PrimeQ in a $31 million deal in the latest acquisition across the space. Previous big sales include Abode buying Marketo, Oracle acquiring Moat and Sizmek snapped up Rocket Fuel- the list goes on. “I wouldn’t be worried about more consolidation. It’s a great thing because there’s a lot of companies that are probably too niche, which means buyers or agencies are having to work with too many vendors,” Jackson said. “Consolidation will make buying data less confusing. In the past there has been confusion for buyers purchasing data, and as such decisions have been made purely on price, scale, or worse, alphabetical. Jackson expects telcos to continue to become more embedded in the space as data plays a significant part in advertising technology. But while he thinks clients have a lot to gain from ad tech mergers, he warns too much concentration could still 'stifle' innovation that comes out of smaller players. Working at Eyeota, which began as a startup in 2010, Jackson underscores the importance of innovation and being a scrappy start up. “It’s important to be coming up with weird and wonderful technologies and ways of doing things,” he said. “Some big businesses are fantastic at being innovative, the only difference is sometimes they can’t be as quick and nimble as smaller businesses. Jackson said the European Union’s GDPR has made the rest of the world “sit up and pay attention” and Australia is no different, with Jackson expecting "our own GDPR-like laws" to be rolled out in the next few years. Having been through the process of complying with the strict regulations himself at Eyeota, Jackson still welcomes the opportunity to showcase it takes consumer rights seriously. “Making sure as a businesses that we were GDPR compliant was stressful and eye-opening,” he said. Jackson said as privacy remains a hot topic outside of the industry, following data breaches at Facebook and other global companies, all businesses need to take it seriously. This requires staying alert to changes as privacy is an 'ever-moving beast', Jackson said. “There's a very large risk in not taking consumers' privacy concerns seriously,” Jackson said. Eyeota, which spans across Europe, Asia, Australia and the Americas, works across the big six holding companies and has clients such as Telstra and Optus. Following the exit of co-founder Trent Lloyd who departed the business late last year for a role at Salesforce, Jackson said the ad tech firm has big plans to expand its team as it looks to bring in a commercial director and sales person. AdNews investigated what GDPR means for the Australian market when it rolled out last year. The ad tech buying spree is by no means over, with more consolidation to come, says Eyeota international managing director Aaron Jackson. 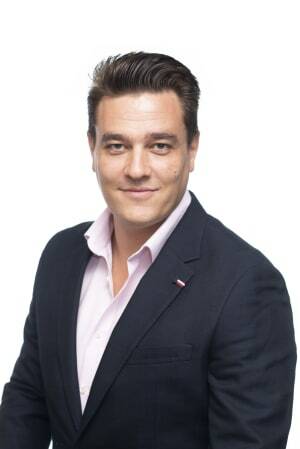 Speaking to AdNews, Jackson said more consolidation is inevitable, as data continues to lure companies in. He stresses that market contraction should not "cause concern". Last month global management consultancy giant Accenture acquired US ad tech business Adaptly and Australian Oracle reseller PrimeQ in a $31 million deal in the latest acquisition across the space. Previous big sales include Abode buying Marketo, Oracle acquiring Moat and Sizmek snapped up Rocket Fuel- the list goes on.